Sometimes all you want to do is wear a dress and if the rain is falling, who’s saying you can’t? 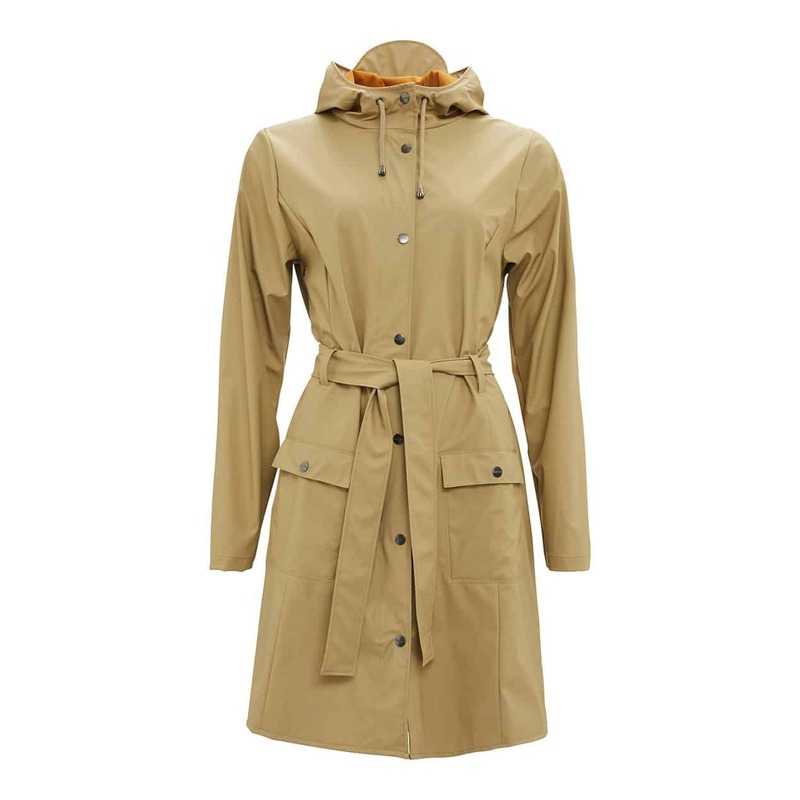 There are plenty of cute dry-weather coats to pair with a dress to complete your elegant look but raincoats are a little different. 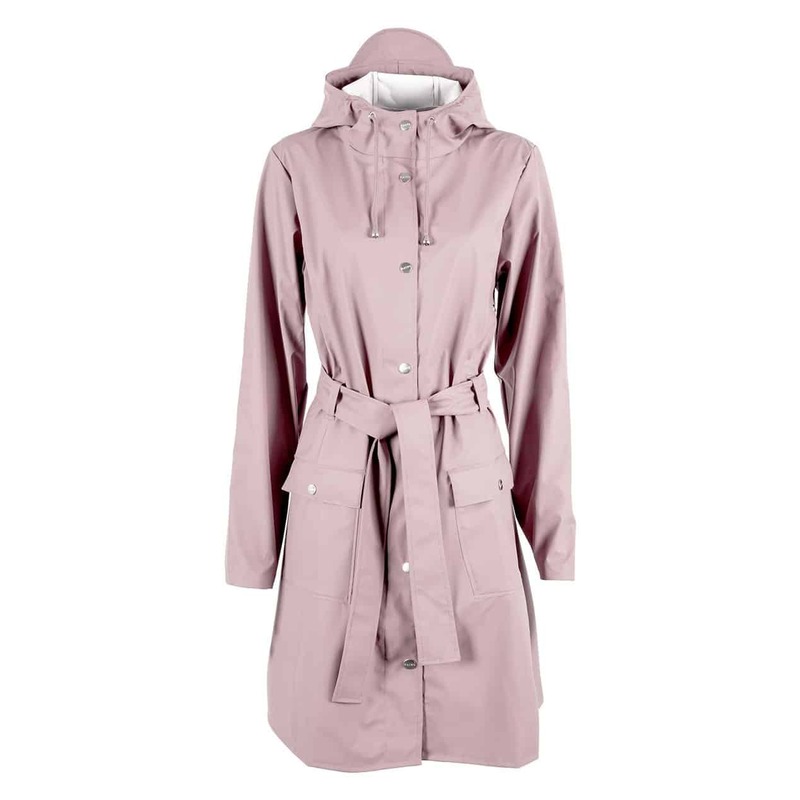 Finding the right raincoat that looks as cute with a dress as it does with your favourite pair of leggings or denim can be a challenge but there are some worthy models out there. To the ladies who flaunt their dresses no matter what the weather brings, this list of raincoats to wear with a dress is for you. 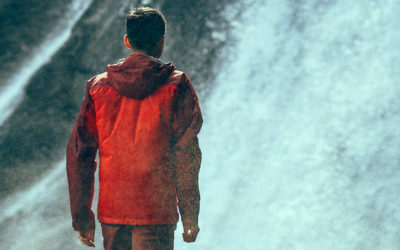 Blend into your urban environment with style and class without compromising weather protection in the Arc’teryx Nila Trench Coat. 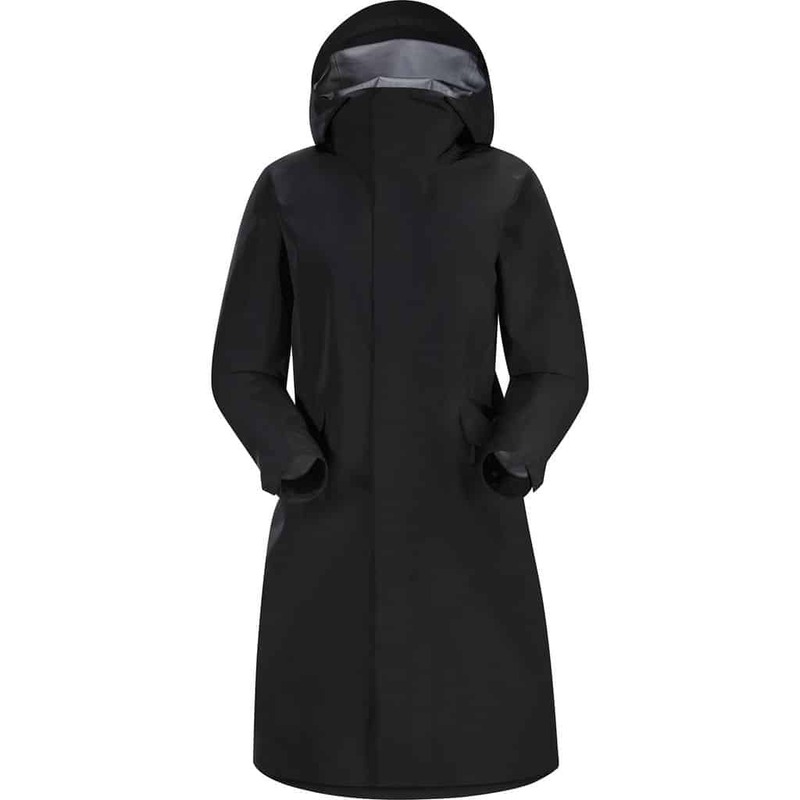 A regular fitting, knee-length coat crafted with a 3-layer GORE-TEX® and sophisticated look. 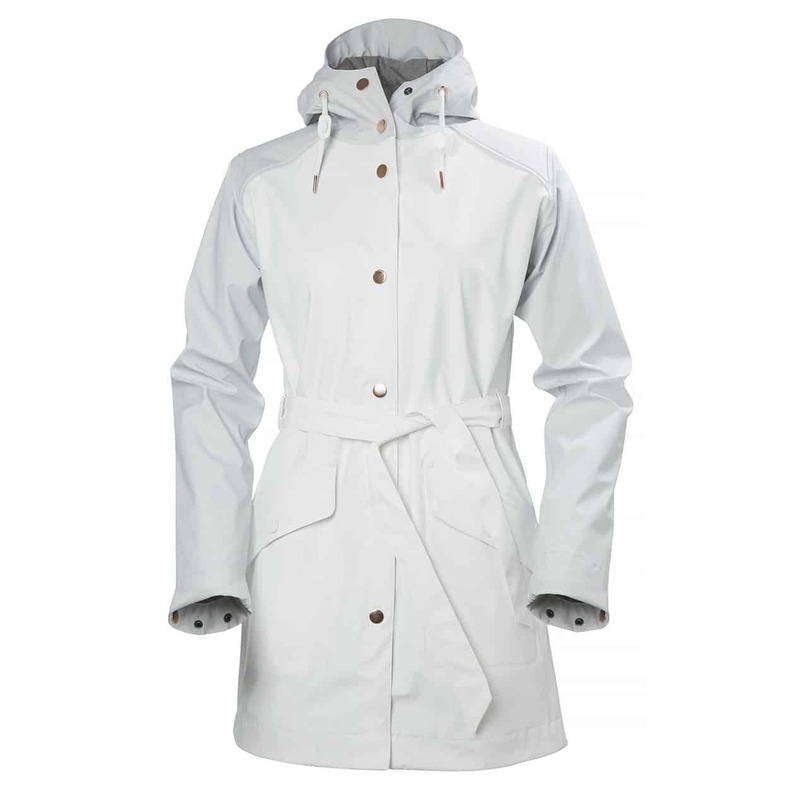 The Nila Trench will keep you dry in the wettest weather while retaining a stylish look for your urban commute. Trench coats are in and the Curve jacket is a perfect style meets reliability piece. 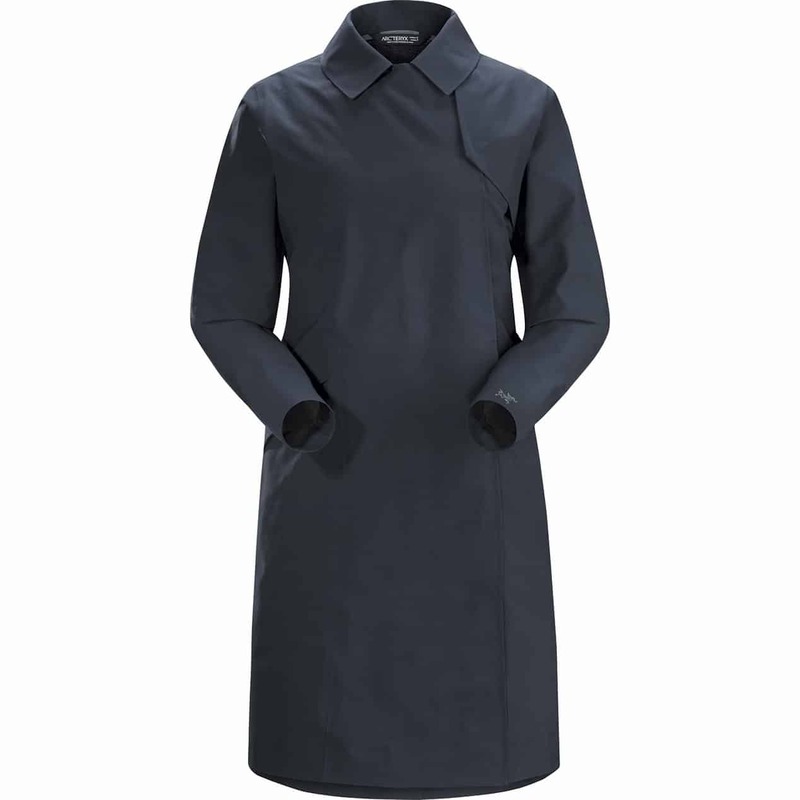 Equipped with a waterproof zipper and made of RAINS’ signature, light-weighted fabric, the Curve jacket is perfect for the sophisticated ladies looking for a tapered fit that boasts a classy look and will look elegant with any dress or skirt. 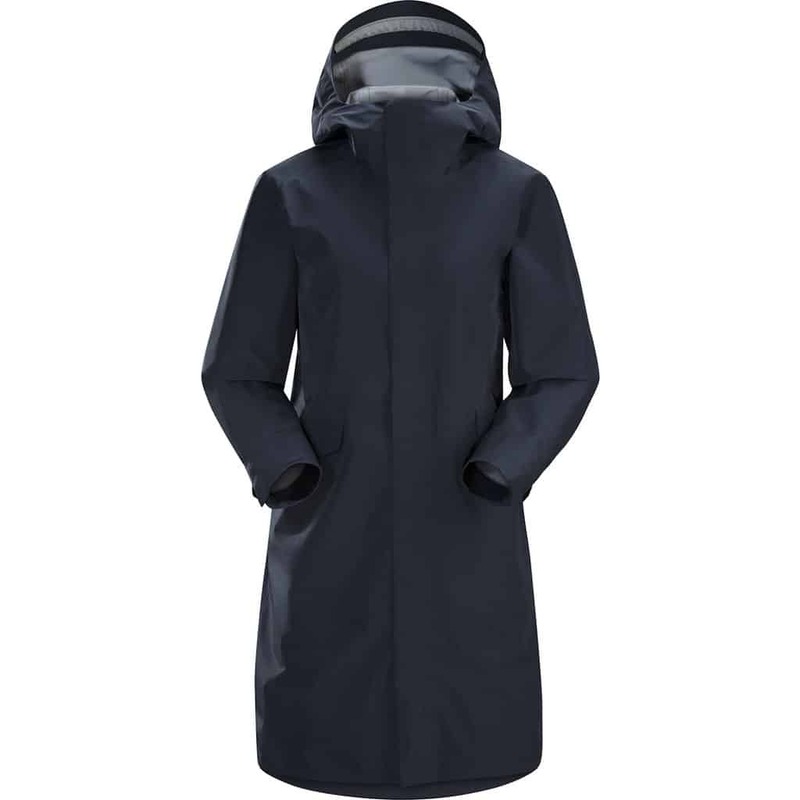 From summer showers to winter rains, trust the Andra coat to provide the wet-weather protection you need. 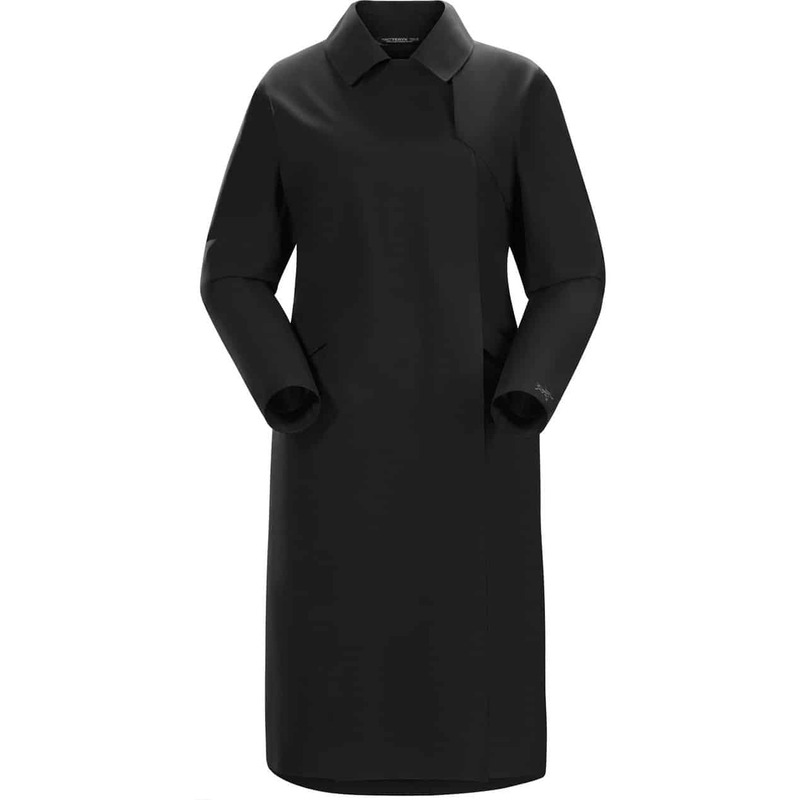 Boasting a sleek, minimalist design, the jacket can easily be dressed down for a morning commute or dressed up when paired with a dress. 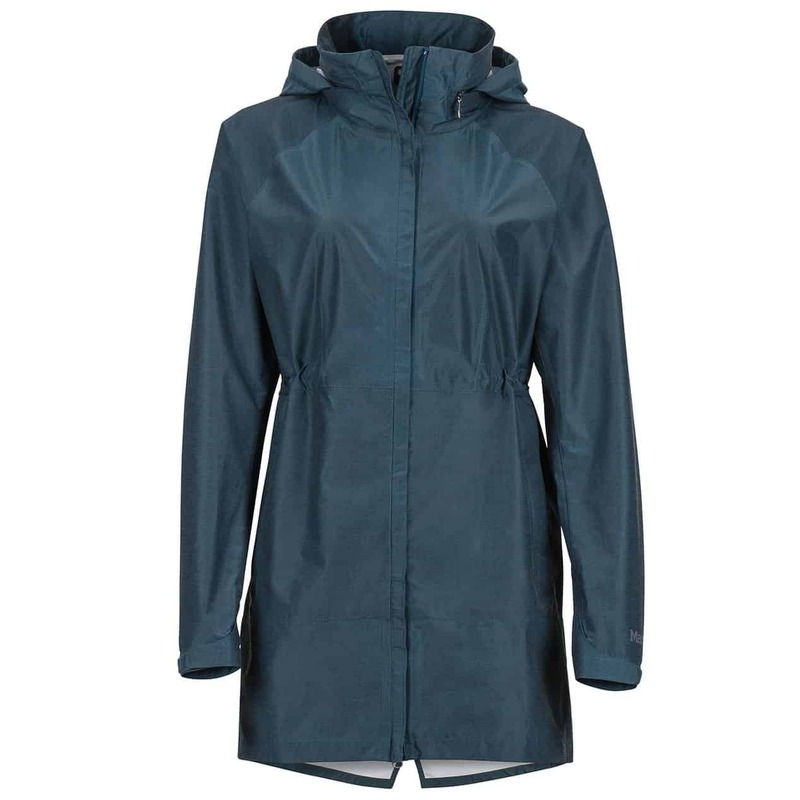 The flattering cut showcases the feminine silhouette and is the perfect raincoat for a fashionista looking for stylish rain protection in an urban environment. Simply stylish, the Celeste jacket is sure to be a fall classic for light showers. An elastic drawcord waist enhances your silhouette and provides a feminine look that perfectly compliments a dressy look. 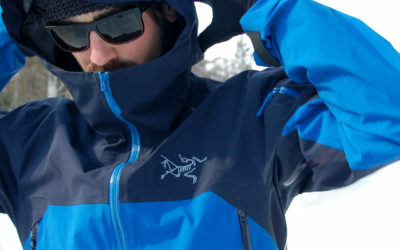 Made of MemBrain® EVODry, a waterproof and breathable fabric that is produce from recycled materials, you can look great while feeling great in your eco-friendly raincoat. Rainy days don’t have to be dull days. 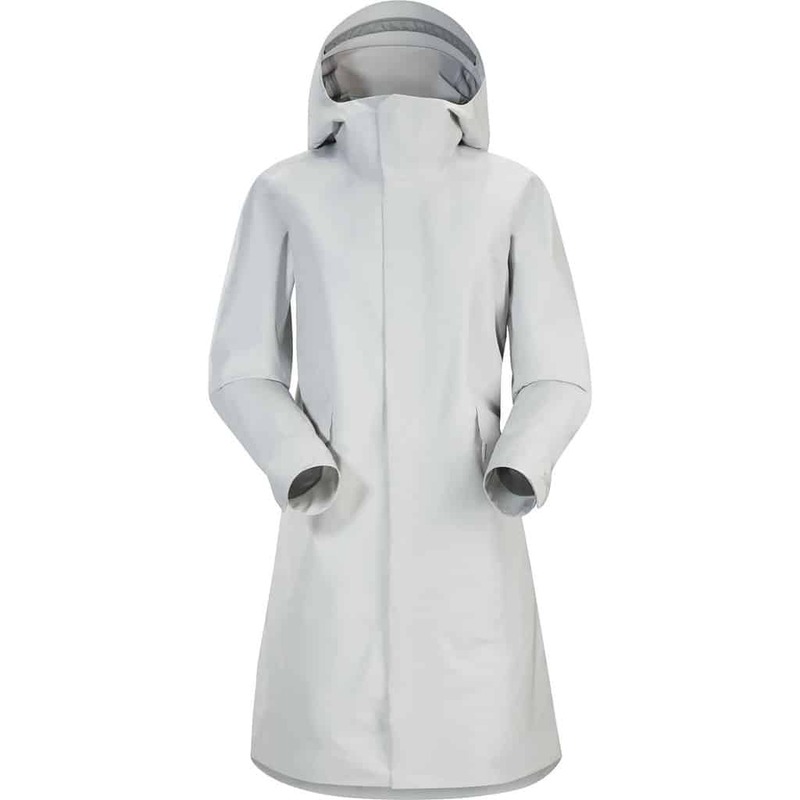 Flaunt your favourite fall dress on the greyest days with the Kirkwall Rain Coat. 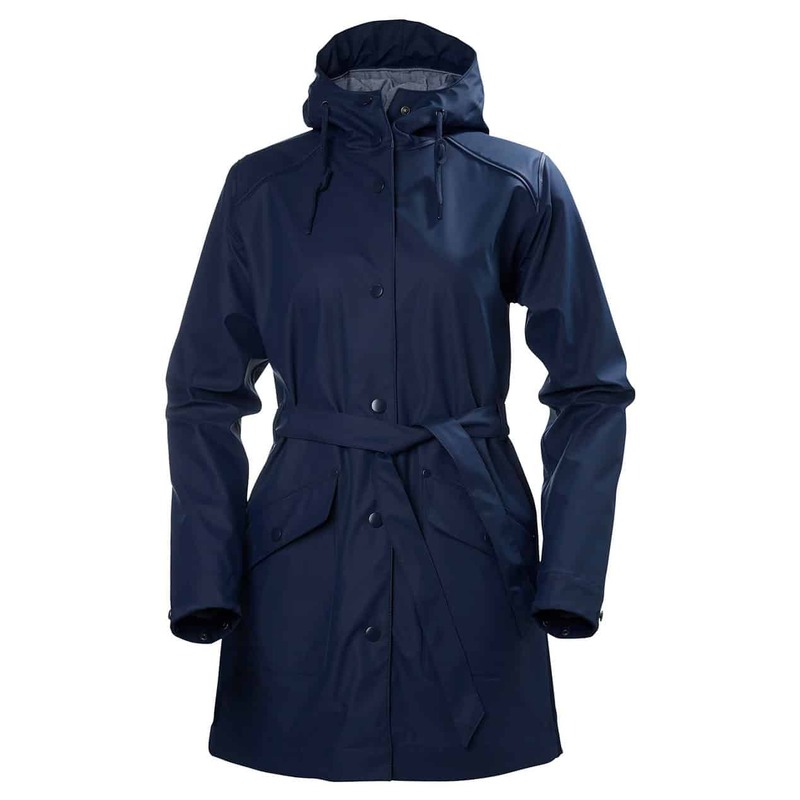 Made with Helo+ Technology, you’re protected from the wind and rain and can arrive at work looking stylish and dry. An adjustable tie belt at the waist enhances your figure and can be easily removed when it isn’t wanted. 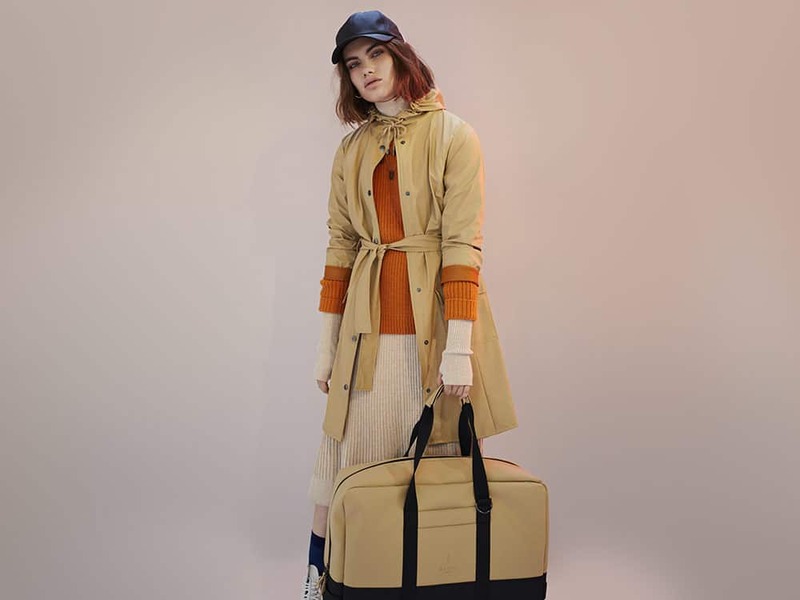 Feel bold in yellow or opt for the evening blue for a more neutral look, with a stylish raincoat like this, you’ll be hoping for rain in the forecast. Next Next post: What is the Canada Goose Black Label Collection?